Over the last few weeks, I’ve had many people ask about my reactions to the 2018 Baccalaureate service. Though much of this will not be news to the Black students with whom I have been in communication for some time, I have been asked by others in the community to reflect more thoroughly on the day than I did immediately afterward—something I am able to do with the distance of the few weeks that have passed. As I came to Baccalaureate this year, I felt a wide range of emotions. The most obvious was the joy and pleasure of seeing another set of Fuller graduates, surrounded by family and friends, begin the special days of celebration leading up to Commencement. The familiar faces of many wonderful students that I had come to know personally and gratefully alongside the less familiar faces of their own “cloud of witnesses,” family and friends, who were there to revel in the journey and achievement of their beloved graduate. Another set of emotions were marked by gratitude and nostalgia for the lovely setting on Arol Burns Mall where the Baccalaureate was being held, long the heart of our campus and a central gathering point for so many poignant moments in Fuller’s history. As I came in with the faculty procession, encouraged by an earlier musical rehearsal that gave us a foretaste of the beauty to come, I was so grateful for the many aspects of Fuller’s faithful life and mission: though Fuller is never sufficient, never complete, never done, it is held and used by the God whose faithfulness has not yet finished what it has begun. Woven in and through these emotions was heartache that lingered from months, and years, of conversations with African American students many of whom have felt for themselves, and for others like them, that Fuller leaves them unseen, unheard, unacknowledged, unvalued. Senior administrators and faculty have had many chances to hear students state their pain, their needs, and their demands. While progress has been made over time, many of our African American students still were frustrated and angry at too little, too slow. Meanwhile, they have watched African American faculty leave Fuller, each closing a significant outpost of hope with their departure. By Monday of Commencement Week, after a long and passionate meeting with African American students and a collection of administrators and faculty, student patience had run out and determination for change ran high. So it was on Thursday when I was sitting on Arol Burns Mall, in the glory of a beautiful Pasadena morning, filled by all of the emotions I have mentioned—that I also felt grave. There were three reasons: a) our Black students’ and faculty exasperation with the lack of African American narratives and voices represented in every aspect of institutional life; b) a warning that this Baccalaureate might be the occasion for some kind of action by African American students and others; and c) the awareness that for many graduates, families, and friends, a protest would be a shocking and disorienting intrusion on a day of joy. The first protesters stood silently with surgical masks, then more came forward with both masks and placards, and faced the congregation as the sermon progressed. Our preacher, Dr. Juan Martínez, incorporated an explanation of the protest and interpreted its symbols and actions into his sermon, asking those who wished to express solidarity to stand. As I stood and looked at the faces of the protestors I could see, all of whom I knew, I was moved by their courage. For them to step up into that moment as they did was evidence of how profoundly they felt the necessity to speak out for change. Among them were graduates, too, who held the day as something sacred. My feelings from then until now have largely orbited around a longing in me for Fuller to be able to truly hear and receive the witness of African American students, friends, allies, and faculty—and for that witness to land with institution-changing impact. African American narratives, thought, scholarship, leadership, formation, and influence must become a deep, significant, and permanent part of Fuller because we want to be a place where African Americans can thrive. But we also need these gifts from African Americans for Fuller to thrive as we internalize the changes that face us and that Christ calls upon us not just to claim but to embody for all members of Fuller’s community. I left Baccalaureate aware of these protestors, but also of the other graduates, visiting parents, and grandparents. Worship that is truly Christian must reflect the reality of God’s life and of our lives: this will sometimes mean the reordering of power in our lives and the world. That will often invite us into uncomfortable places. Every year, Baccalaureate issues that invitation because it is worship. I grant the pain and anger that others felt as a result of the pain and anger in the African American student protests, while I also receive the protest as an urging to be the community to which we aspire—one that reflects the God we name. In many ways, commencement week is a mix of emotions for all of Fuller—a time to recognize what has been accomplished while knowing that what we have begun remains unfinished. Fuller Seminary is a convening place for dialogue and a community where diversity and dissent are familiar territory. At no time has that been more true than during the week of June 4, 2018, when Fuller was the context for heightened celebration and lament. We celebrated 661 students from 42 countries. We also witnessed cries of injustice from African American students. Their dramatic protest at Fuller’s Baccalaureate service was a frustrating disruption for some, a galvanizing moment for others, and a clear call to action for the leadership of Fuller. The action illustrated the depth of disappointment among many Black students at Fuller, intolerance for “just words” that might prove empty, and demands for change. Fuller leadership received their protest in an atmosphere of respect for free speech and protest, while urging support for the students and their concerns. Three times in the events of the weekend attended by families and friends from all over the world, faculty and administrators committed to support African American student concerns. That public “yes” included a standing ovation at Commencement when a Kenyan student speaker admonished the school to treat African American students with love and respect. 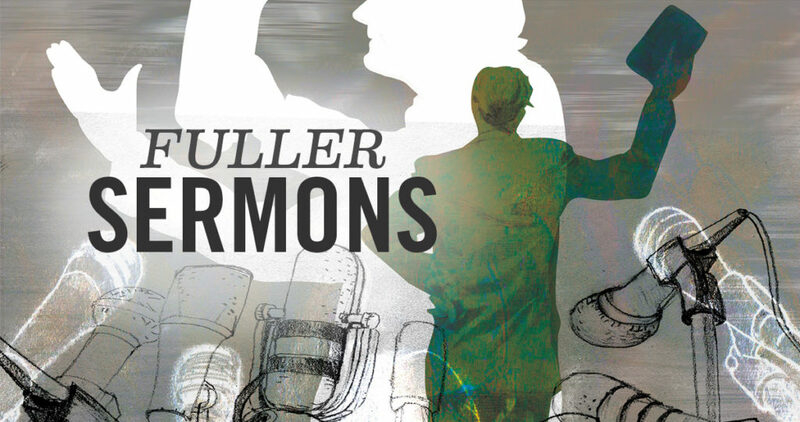 Fuller Seminary is in the process of change that requires faster, more evident action. “We have a serious distance to go,” Labberton notes, posting in an internal missive on the day of the protest: “Today’s protest at Baccalaureate was a ‘painful gift’ that bears witness to injustice suffered by our African American students. . . . ‘We are at a crossroad: Change must happen.’” Following the protest, Labberton offered the mic, stood by while the protestors made a statement, and posted a video link to the Baccalaureate event for employees, students, and public social media—with the video including the protest and the sermon by Professor of Hispanic Studies and Pastoral Leadership Juan Martínez. Diversity, inclusion, and equity are educational, economic, and civic imperatives, Fuller leader Alexis Abernethy confirms, “and critical to achieving academic excellence.” And though we believe that working toward full integration is everyone’s responsibility at the seminary, we are pleased to establish a new position to focus on strategic change and innovation in this area that will be filled by Dr. Abernethy, currently professor of psychology. 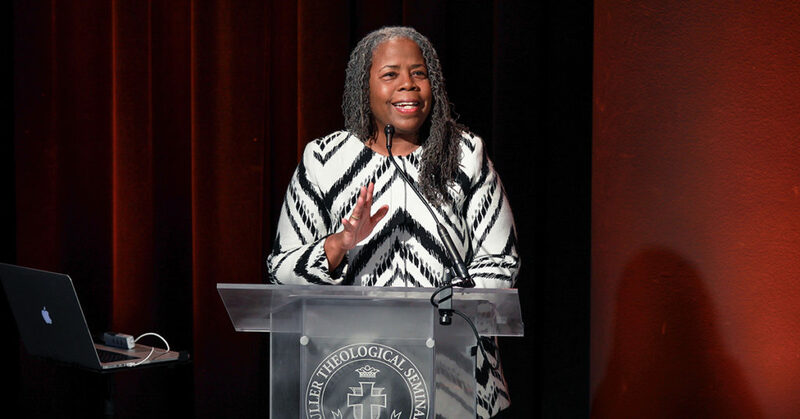 The Associate Provost for Faculty Inclusion and Equity will serve to foster transformational change in the mission and life of the seminary by identifying barriers and promoting advocacy through recruitment, retention, and development of faculty from underrepresented populations. In addition, Associate Provost Abernethy will implement changes and offer resources for faculty “so that syllabi content and teaching approaches will reflect a more culturally informed lens, helping to build capacity for persons and for the institution as it relates to diversity, inclusion, and equity.” The creation of this role and her appointment are in direct relation to the concerns expressed by African American students to “prioritize hiring and retention of African American faculty” and to integrate course content and Black scholarship into the core curriculum of all Fuller’s programs. Other issues specified by students that the institution is taking action to address include supporting a stronger pathway for Black students and “cultivation of Black scholars.” Clifton Clarke, Associate Dean for the William E. Pannell Center for African American Church Studies, recently announced that the center will roll out a scholarship program for students researching in the area of African American church studies from all three schools. Dr. Clarke says, “in addition to the institutional changes that are paramount for African American students to thrive at Fuller, we are committed to doing a much better job at nurturing and supporting African American students through the robust scholarship program that the Pannell Center will oversee.” Also in response to student petition, Acting Provost Mari Clements reports that Fuller’s School of Psychology has agreed upon a commitment to prepare Black students (and students from other diverse backgrounds) for being the only person of color in their clinical settings—a need that has been emphasized through the process of these conversations. “Because diversity has long been an area of focus for us [in the School of Psychology], we have made some gains and yet have significant areas of concern that we are committed to addressing in a deep and substantial way—not just checking a box,” says Dr. Clements. These, and other specific initiatives already well in process at Fuller, will be shared widely in the Fuller community closer to the end of June when required institutional processes have been completed. Is Fuller taking action to address the concerns of the students? Yes. We have been working for many months on plans informed by student recommendations that are consistent with our vision and commitments. We have several more institutional steps to take to be able to bring forward a full response to their concerns, and some actions will continue to unfold for some time (as change at systemic levels always does). We understand that an institution neither speaks nor acts as nimbly as a person can, so this process has been slow and understandably frustrating. The message above, as part of a series of community letters, tells of some of the changes that are in process. Students’ persistence in bringing awareness about troubling trends at Fuller has accelerated action, and for that anyone committed to the hope of a “beloved community” owes them a debt of gratitude. We will be able to announce more by the end of June. What is the background on this topic, and did you know the protest was going to happen? Fuller’s senior administrators, deans, provost, and faculty members have been meeting with African American students over their discontent with the Fuller experience. In the last several meetings the students expressed that action needs to take place according to a list of grievances, and that they would escalate if they did not see “real change.” They were honest and forthright, and often showed graces such as warning of the possibility of a protest, or sharing communion at the end of a difficult meeting. So we did not know the protest was coming, though we were not surprised when it did. They have grievances: administration and faculty have tried to receive complaints with respect, an attitude of listening, and to set actions in motion as a result. We believe in free speech and note that the right to nonviolent protest is in the tradition of Christian leaders such as Martin Luther King Jr.—often necessary when trying to unroot something as pernicious and ubiquitous as race bias. President Labberton says that the protests are a “painful gift” that bears witness to the injustice suffered by African American students, staff, and faculty, and is responsible for a troubling attrition of a Black presence on campus, particularly among faculty. 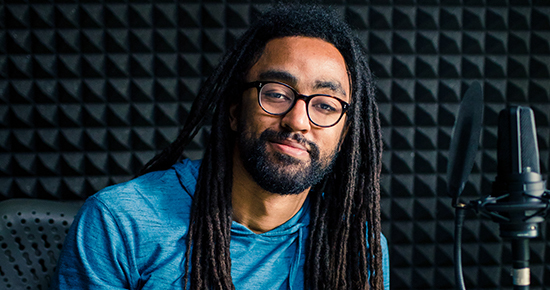 Is there a “Black exodus” from Fuller? A few students have left Fuller in dissatisfaction, and some who have remained are vocal about their deep disappointment. Others have expressed that their participation does not signal hatred for Fuller, but love for it and its potential. As with any collection of individuals, there are perspectives all along the continuum. The larger concern is the loss of key African American faculty/leaders over the last decade. Many of these faculty and leaders loved Fuller, and though they left for other opportunities, they have also left because of their discontent. It’s heartbreaking for them and for us. Over the last decade, the losses of an African American presence have been more than the gains, which is grievous. But much of the energy is toward change, with Black exodus being a very real threat. Is Fuller addressing curriculum so that it reflects racial, ethnic, and gender diversity? Yes. The recent appointment of Alexis Abernethy as the Associate Provost for Faculty Inclusion and Equity, and her mandate, will ensure faculty implementation of readings that represent the racial diversity of the Fuller community. Additionally, the library has invested time and resources into ensuring that its team is well-equipped to assist or direct faculty to theologians whose work faculty may not be aware of, to make sure Fuller’s classes have the best scholarship available to them. Several faculty members will also do a thorough review of course offerings to reimagine language and required literature with the view of bringing that back to joint faculty and the faculty senate for review and rigorous implementation. Please share your thoughts and questions with us here.